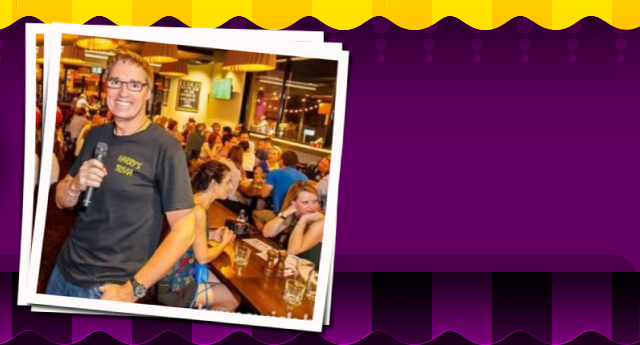 Harry's Trivia has been quizzing the Qld pub scene since 1998.
giving away over $1.4 million in cash and prizes. We have also hosted hundreds of corporate and fund-raising nights. Harry's Trivia often features in print, on television and radio. Bring your friends, family and work mates and come see why Harry's Trivia has dominated the Queensland pub trivia world for 21 years. Each night we have hundreds in cash and prizes to give away. All the prizes are real and all the cash must be won (unlike some other trivia operators). Harry's Trivia has venues that have been attracting 80 -100 players every week of every year, for years! We focus on attracting new clients to your venue. And, if we both do our job properly, these clients will use your venue on other nights of the week and tell their friends. Your food trade will skyrocket, and (depending on the night of the week) so will your bar trade and gaming. Contact us to discuss your trivia needs. Harry's Trivia has hosted hundreds of corporate events and fundraisers. After discussing your exact needs, we compile a trivia night that matches your audience profile. We can help run raffles, auctions and award ceremonies. We will work hard for you to ensure your company has a great night and your charity raises plenty of money and awareness.